Isn't this just adorable? I received this together with the BB 2-WayPowder + Foundation, Eye Love Handbag and Big Eye Collagen Waterproof Mascara. 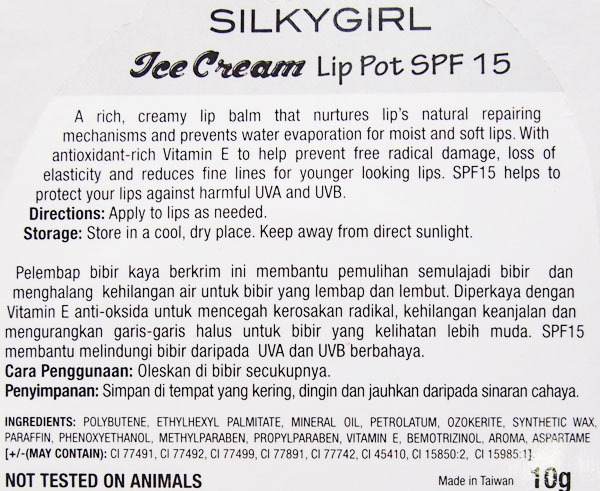 Personally, I LOVE ice cream and this lip balm promises 6 hours of moisture. 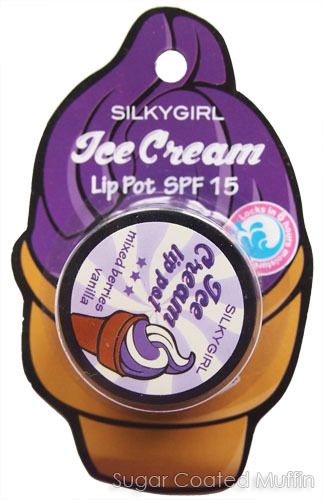 Also contains Vitamin E & SPF 15 to protect your lips. The moment I opened the packaging, I was hit by a wave of sweet smelling berries. Continued to sniff it for 5 seconds =x It comes in a small lil tub with a screw on lid. 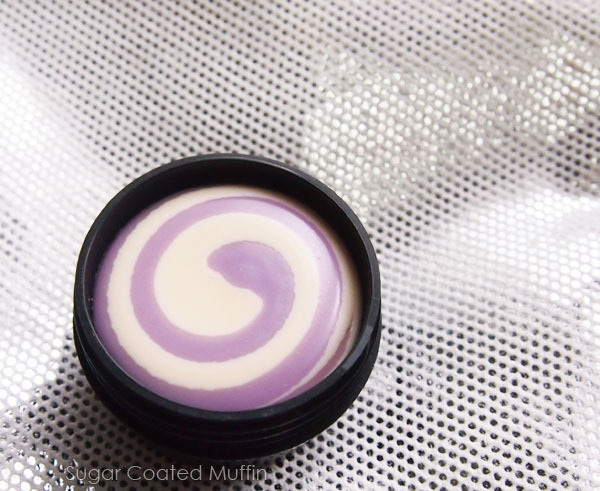 The top was kinda hard but as I continued to use the product, it turns more creamy and gives a slightly creamy white colour. I was having a 'really bad lip day', with hard and dry flakes. 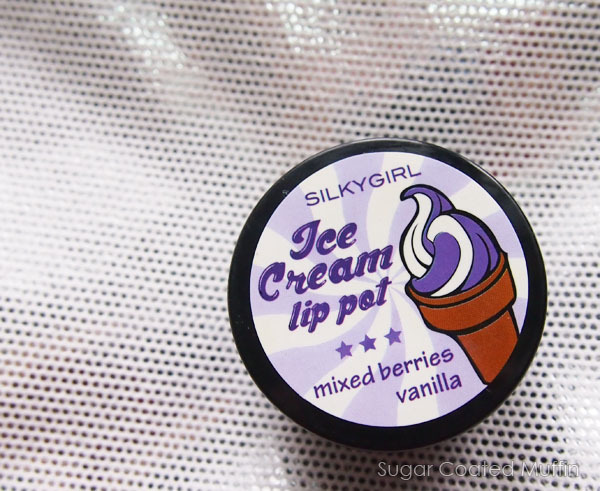 I applied the Ice Cream Lip Pot in the picture on the right. The hard flakes immediately softened and were later removed ^_^ My lips felt so much better later that day even though all the lip balm has probably disappeared. There are also 2 other variants available: Strawberry Vanilla and Chocolate Vanilla! It's a limited edition product btw.